A safe, nontoxic, hypoallergenic and effective way to clean and restore your sticky yoga mat. Our new Yoga Mat Wash was designed by yogis and yoginis concerned about the residues from their work out. 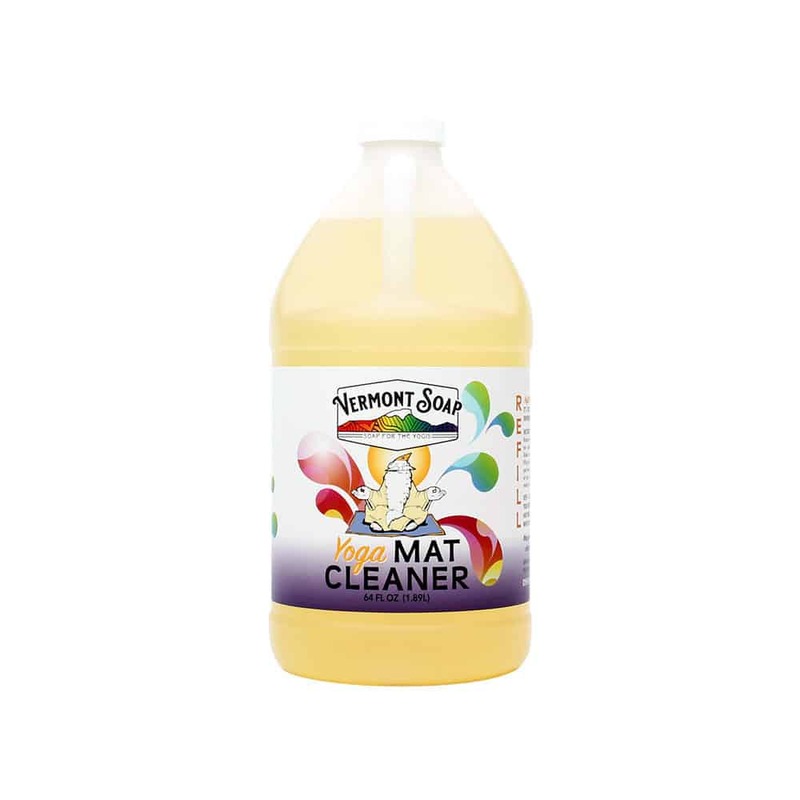 Super mild and effective castile soap based formula works on all water safe surfaces, including: balance balls, foam blocks, chairs, cushions, straps and other yoga and Pilates accouterments. Crafted from certified organic vegetable oils and botanicals and free of synthetic chemicals, artificial colors, fragrances, preservatives, alcohol and detergents. Cruelty and animal byproduct free. Not tested on animals. Safe for skin contact and sensitive individuals. Certified Organic and USDA Approved. Available in 2oz and 4oz sizes (both perfect to toss in your yoga mat bag), a larger studio size (16oz), and a 64 ounce refill bottle. Deep Cleaning and Restoration: Spray directly onto mat and soak 3 minutes. Work into a lather with a wet cloth, rinse, wipe dry and air dry. Repeat if needed. Yoga mat should be completely dry before storing or using. Regular use will extend the life of your sticky yoga mat; order a bottle today! A safe, nontoxic, hypoallergenic and effective way to clean and restore your sticky yoga mat. Our new Yoga Mat Wash was designed by yogis and yoginis concerned about the residues from their work out. Super mild and effective castile soap based formula works on all water safe surfaces, including: balance balls, foam blocks, chairs, cushions, straps and other yoga and Pilates accouterments. Crafted from certified organic vegetable oils and botanicals and free of synthetic chemicals, artificial colors, fragrances, preservatives, alcohol and detergents. Cruelty and animal byproduct free. Not tested on animals. Safe for skin contact and sensitive individuals. Certified Organic and USDA Approved. Available in 2oz and 4oz sizes (both perfect to toss in your yoga mat bag), a larger studio size (16oz), and a 64oz refill bottle.